Join us for an evening of dining and socialising. We have lots of new studio and associate members at NewBridge, and this is the perfect opportunity to come and say ‘hello’! It’s FREE but bring a dish to share for the Potluck! We’ll run a donations bar too. Arrive at 5.30 to set up the food, ready to dine from 6pm. 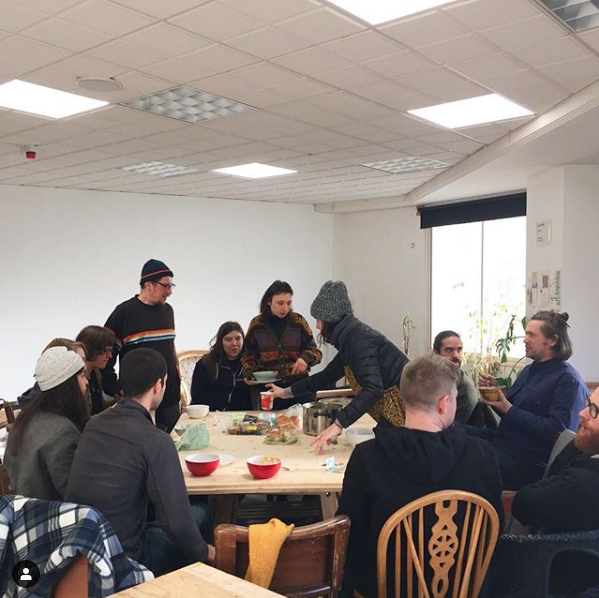 These Potluck Dinners are also a great opportunity to share your art practice with others in a relaxed environment. Often we don’t get to see what everyone gets up to in their studios!